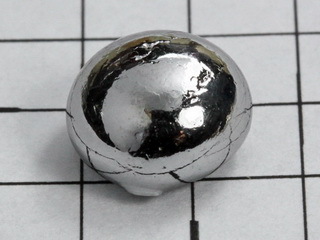 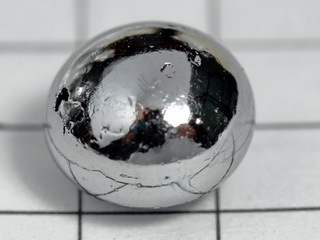 Rhenium was discovered in 1925 by W. Noddack, O. Berg and Ida Tacke in Berlin, Germany. 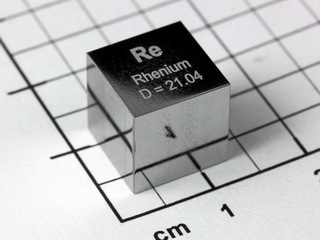 Rhenium was named after "Rhenus", the Latin name for the Rhine. 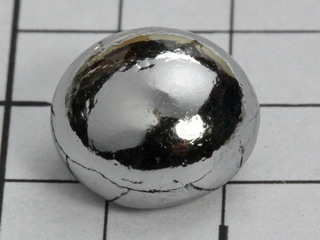 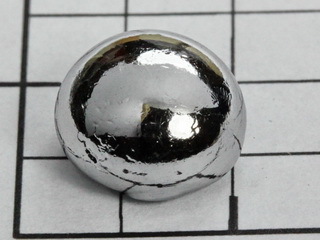 It is a rare element (abundance 4 x 10-4 ppm in the earth's crust) and does not occur in quantity in any ore. 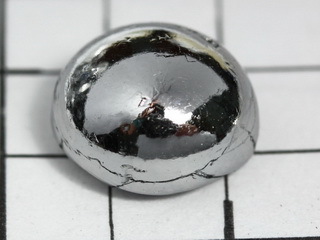 It is found in ores which contain molybdenum from which it can be readily recovered. 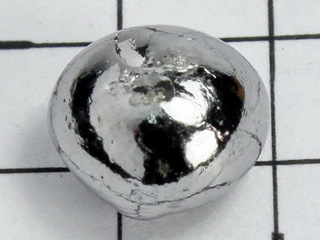 The metal is obtained by hydrogen reduction of the potassium perrhenate salt, obtained by precipitation of the perrhenate ion (ReO4)-- from an oxidized solution. 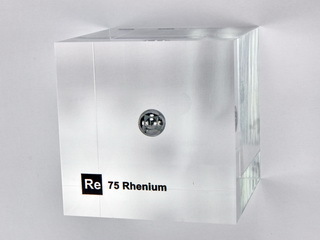 Rhenium is a silvery colored metal which resists corrosion and oxidation but slowly tarnishes in moist air. 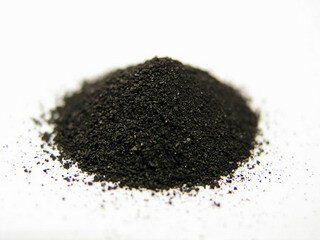 It is soluble in nitric and sulfuric acids. 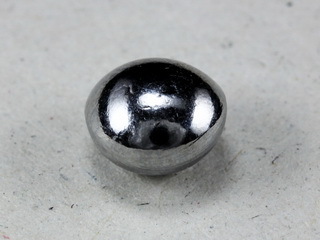 Applications for the metal include its use as an alloying element with tungsten, the resulting alloy having a very high electrical resistance making it suitable for electrical filaments. 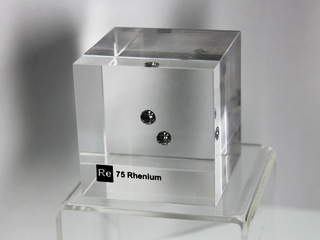 Rhenium has a very high melting point and is used in high temperature thermocouples, electrical contacts and thermistors.